Dracula teaming up with the Red Cross? Can you say dream team? Encore Software is celebrating last month's release of their PC mystery adventure game Dracula 3: The Path of the Dragon, with a Dracula Blood Drive. The event is taking place October 3rd and 4th in either different locations throughout Los Angeles and Orange Counties, with donors being entered in a drawing to win a copy of the game and various other prizes. While many of you have never heard of the game, to quote an imaginary out-of-touch 80's marketing executive, "Giving blood is rad, dudes!" "The American Red Cross does so much to help people in need and we are thrilled to be able to bring more attention to the importance of blood donation through our Dracula Blood Drive," said Cal Morrell, president of Encore. "We look forward to a successful blood drive and hope people who have never donated blood take this opportunity to make a difference." Hit the jump for a list of participating locations, and remember...they take your human juices from you on-site. Showing up with your own blood-filled bags is considered very bad form indeed.ENCORE ANNOUNCES RED CROSS DRACULA BLOOD DRIVE THROUGHOUT SOUTHERN CALIFORNIA OCTOBER 3 & 4 LOS ANGELES – Sept. 8, 2008 – Encore, a wholly owned subsidiary of Navarre Corporation, announced today they will partner with the American Red Cross to hold a "Dracula" Blood Drive to celebrate the release of the first computer game in their Mystery Adventure Game line, Dracula 3: The Path of the Dragon. 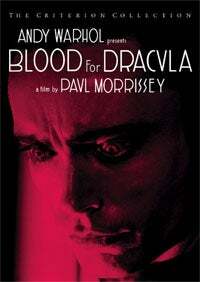 The Dracula Blood Drive will take place October 3-4 at eight locations throughout Los Angeles and Orange Counties. Each blood donor will be entered into a drawing to win a copy of Dracula 3: The Path of the Dragon for the PC as well as other give-aways. "We are very excited to partner with Encore for the Dracula Blood Drive," said Teresa Solorio of the American Red Cross. "We love having this opportunity to provide a fun environment for our donors, who are so generously giving of themselves to help others. If you have never donated before, now is a good time to start. If you have donated before, now is a fun time to donate again." "The American Red Cross does so much to help people in need and we are thrilled to be able to bring more attention to the importance of blood donation through our Dracula Blood Drive," said Cal Morrell, president of Encore. "We look forward to a successful blood drive and hope people who have never donated blood take this opportunity to make a difference." The Dracula Blood Drive will take place at the following locations: Pasadena Red Cross Donor Center 133 North Altadena Dr., Ste. 103 Pasadena, CA 91107 Friday and Saturday - 7 a.m.-2 p.m. West Los Angeles Donor Center 11355 Ohio Avenue Los Angeles, CA 90025 Saturday only - 7:30 a.m.-2:30 p.m. Encore Software Corporate Office 999 N. Sepulveda Blvd. El Segundo, CA 90245 Friday only – 9 a.m.-3 p.m. Woodland Hills Donor Center 6338 Variel Ave. Woodland Hills, CA 91367 Friday and Saturday - 7 a.m.-2 p.m. Long Beach Donor Center 3150 E. 29th Street Long Beach, CA 90806 Friday – 11 a.m.-6 p.m. Saturday – 7:30 a.m.-2:30 p.m. Pomona Donor Center 100 Red Cross Circle Pomona, CA 91768 Friday and Saturday - 7 a.m.-2 p.m. Fullerton Donor Center 1144 Rosecrans Ave. Fullerton, CA 92833 Friday and Saturday - 7 a.m.-2 p.m. Laguna Hills Donor Center 22971 Mill Creek Drive Laguna Hills, CA 92653 Friday and Saturday - 7 a.m.-2 p.m. For more information about the Dracula Blood Drive or to register to donate blood at the event, please call 1-800-GIVE-LIFE. Dracula 3: The Path of the Dragon, a game produced by Microïds and developed by Kheops Studio, is the newest installment in the original Dracula series. Based on Bram Stoker's universe, Dracula 3 takes players to Europe on a suspenseful quest to discover the reality of vampires and come face-to-face with Dracula. As Father Arno Moriani, players must travel to Transylvania to investigate a potential candidate for sainthood. Along the way players are submerged into a gripping storyline with numerous challenging and engaging puzzles to solve that leads to a final confrontation with Dracula! More information for the game can be found at www.mysteryadventuregames.com.